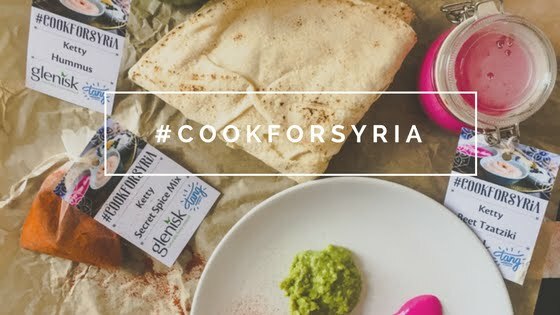 Irish yogurt brand Glenisk and yogurt-themed café Tang by Yogism on Dawson Street are teaming up for the #CookForSyria campaign. They will be providing a free lunch at Tang between 12pm and 3pm this Friday 25th of November and collecting donations which will all be given to Unicef to support their humanitarian work on the ground in Syria. Glenisk and Tang have also created a lovely little cookbook called Taste The Middle East which celebrates Middle Eastern Food. I'm a big fan of Middle Eastern food and I happen to always have a pot of Glenisk in my fridge so I really love the idea. The book is available free of charge from both companies or can be downloaded from Glenisk's website and will be distributed in Tang on Friday along with some Glenisk goodies. So if you find yourself in the area on Friday go, have a nice lunch and support the #CookForSyria campaign by making a donation!